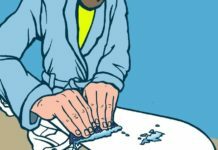 Buying a snowboard can be a daunting process especially considering the number of choices available on the market. However, a little research can make it a lot easier. 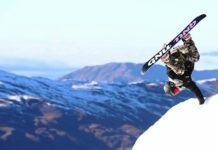 Getting into the sport of snowboarding can be a rather expensive proposition, thus making the right choices when purchasing a board is almost essential. 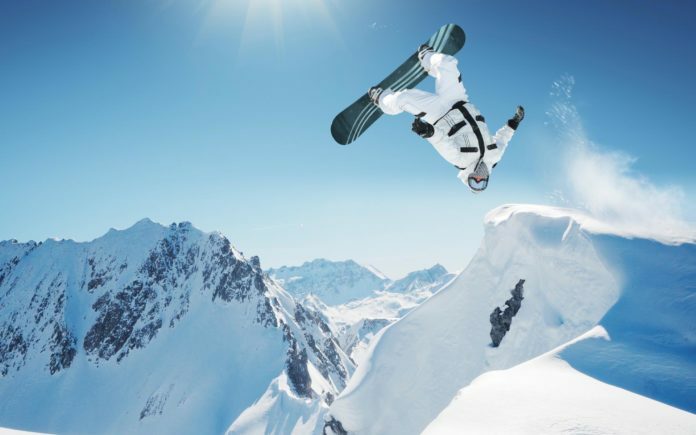 By understanding the different types of snowboards available, costly mistakes can be avoided. While it does come down to personal preference, especially when considering factors such as design and whatnot, choices should be made to match the rider’s style and goals. Another thing to consider is the type of riding the rider plans to do on the slopes. 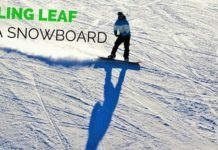 The first and most common is what is called “Freeride” or “All Mountain.” As the latter name for this type of board suggests, these boards can be used anywhere on the mountain, whether for standard downhill riding, or on terrain park features. These boards generally are directional, which means they are intended to be ridden in one direction with the riders lead foot forward. The tail is typically narrower then the nose: this shape helps these boards float better on top of fresh powdery snow. Freeride boards will also be stiffer, as these boards will be ridden at higher speeds typically than a park board. At the same time, they will also have enough flex to be forgiving enough for the beginning rider. 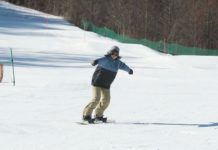 “Freestyle” boards are intended for use by those who plan to use terrain park features such as jumps, rails, and boxes. As tricks require a lot more dexterity, these boards will be lighter and much easier to turn. They do not however have as sharp of an edge — this is so that these edges don’t catch on a terrain park feature which could cause the rider to fall. Consequently, this is not the best board for the beginner trying to learn turns or build speed. As this board moves faster, changes in terrain — even the slightest — will cause the board to flex quickly, or “chatter.” This could make the board hard to control. 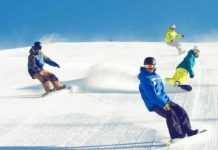 If a rider plans to use the board outside of the terrain park, freestyle boards are not a good choice. A good edge may be helpful to the beginner who may not be as sure of themselves and will need better speed control, which using an edge plays a big part in. Finally, the “Freecaarve” board, otherwise known as an “Alpine” snowboard, is the last major type of board. This board is definitely not for the beginner: it is built for speed. 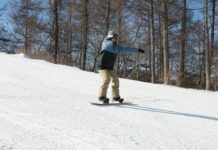 The shape of the board is much narrower and is very stiff, which makes it necessary for the rider to understand how to “carve” through their turns rather than slide like most newcomers to the sport will do. 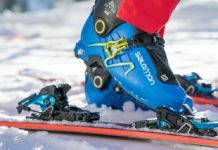 Those who wish to go fast on the snow may find what they need in a Freecarve board, but at the same time they should have a significant amount of experience under their belt and an understanding of how to make carved turns. Besides the three aforementioned groups, there are also other less common ones. Powder boards are for use in deep powdery snow, and feature a purely directional shape much like a fish. This helps the board to float on top of the powder much like a surfboard. 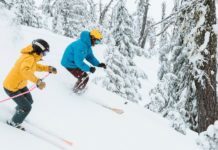 Some snowboard companies also have begun producing “all mountain freestyle” boards, which are boards that are park-oriented, but are sufficiently stiff enough to provide stability when riding outside of the park, and typically have better edges than the standard freestyle board.